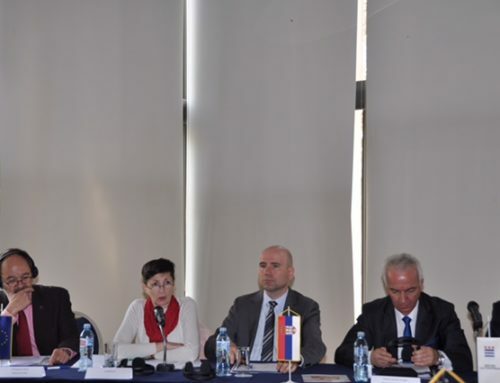 The EU-funded Programme for Risk Assessment and Mapping (IPA DRAM) successfully concluded its first round of fact-finding missions to the partner countries in Ankara. Yesterday a meeting organised at Meyra Palace Hotel gathered thirty participants from different Turkish institutions with the responsibility and expertise in risk assessment, mapping and disaster loss data collection. The purpose was to collect information regarding the Turkish state of play in this field in order to better target the actions and activities that will be implemented by the Programme throughout its three-year duration. The meeting was opened by Mr Erkan Koparmal, Head of the Planning and Mitigation Department at the Disaster and Emergency Management Authority (AFAD) and by representatives from the Delegation of the European Union to Turkey, Ms Ipek Seda Geçim Bakır, coordination officer and Mr Akif Turkel, expert on infrastructure and transport. On the other side, IPA DRAM Programme was represented by the team leader Cvetka Tomin and monitoring and evaluation expert Gonzalo Garcia Delgato from the Swedish Contingencies Agency (MSB), as well as by Stefania Traverso and Marco Massabò, both risk assessment experts from Cima Reserach Foundation (CIMA). 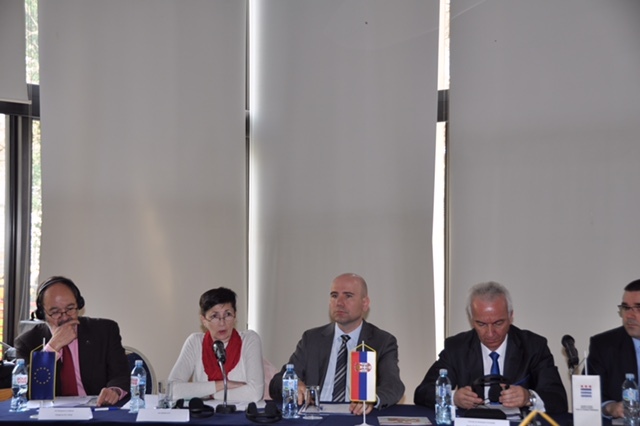 Through IPA DRAM, the EU is supporting the Western Balkans and Turkey to enhance risk management capabilities at national and regional level in order to mitigate the risks of natural hazards and man-made disasters. In the Programme major focus will be given to national disaster loss databases, risk assessments and mapping according to the existing EU guidelines and EU good practices. These elements should help in the development of future risk management strategies for the different sectors of the economy. IPA DRAM is funded by DG ECHO – European Commission and is implemented by a Consortium led by the Swedish Civil Contingencies Agency (MSB), and including the Italian Civil Protection Department (DPC), the National Protection and Rescue Directorate of the Republic of Croatia (NPRD), the Administration of the Republic of Slovenia for Civil Protection and Disaster Relief (ACPDR) and the International Centre on Environmental Monitoring (CIMA). For more information on the Programme you can contact IPA DRAM Secretariat at Swedish Civil Contingencies Agency (MSB), email: ipadram@msb.se. Tel. 0046 771 240 240.